Get notified when Stevie Wonder tickets are available! 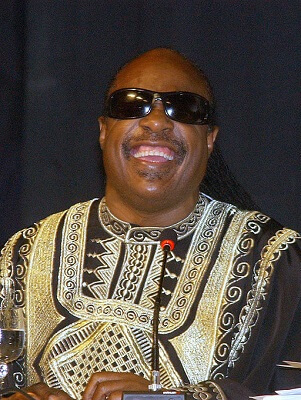 Stevie Wonder is a musician, singer, songwriter, multi-instrumentalist and record producer based in America. Stevie Wonder is considered one of the most commercially and critically successful musicians of the 20th century. He signed to Motown’s Tamla label when he was the age of 11 and stayed with them until the 2010s. His singles include “Sir Duke,” “Superstition,” “I Just Called to Say I Love You” and “You are the Sunshine of My Life,” among many others. Stevie Wonder is responsible for over 30 US Top 10 hits, has earned 25 Grammy Awards and has sold more than 100 million records worldwide. Get your Stevie Wonder tickets to see him play his next show before they sell out.